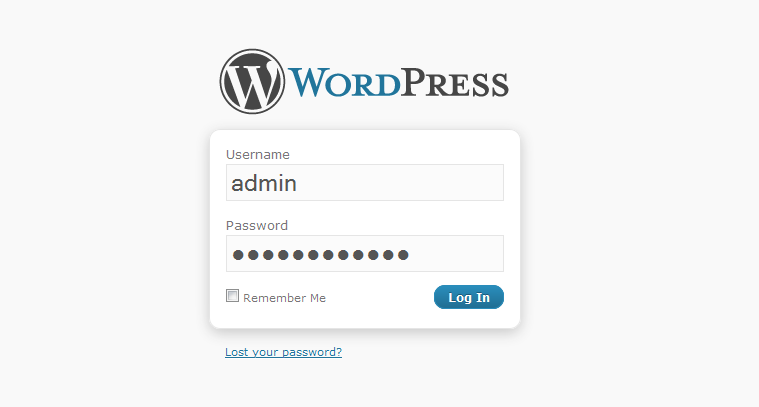 After pressing enter you will be greeted with the standard WordPress log in screen. Type in your user name and password and click on log in. You will be directed to the dashboard area where you can access all of your WordPress and theme features. The main menu is located on the left side corner of the dashboard and will guide you through the various options available to you.